Eternal crick in neck from having to turn to look at the screen, TOTALLY WORTH IT! 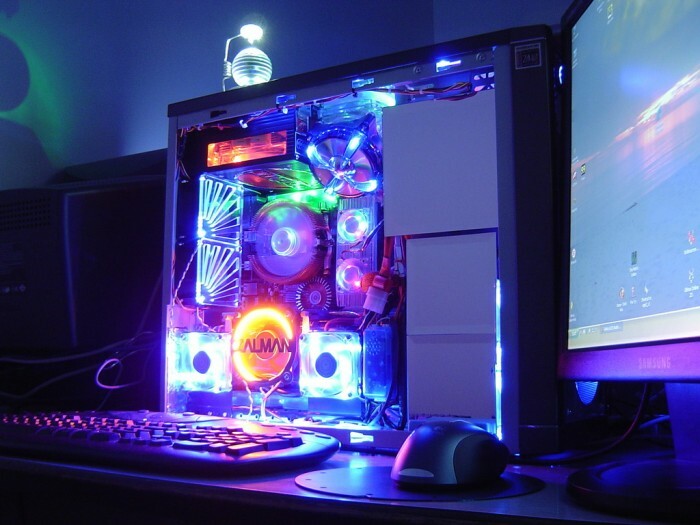 wtf why would i want so much lights on my pc? waste..
I’m more impressed by the amount of fans than the glare. oh snap son whats next spoilers and a coffee can muffler? !